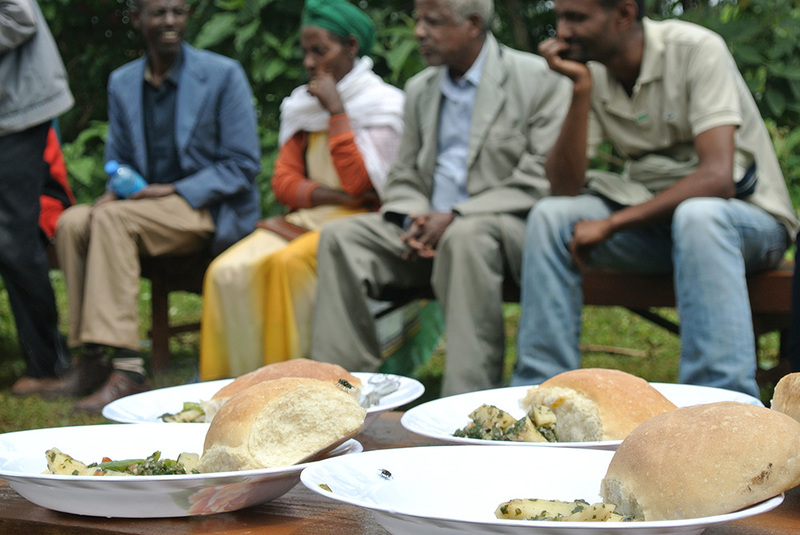 Food prepared at nutrition training in Ethiopia. Photo by Jochen Dürr. The question of how to best put science into practice is not new but still subject of public and experts’ debate. In reality it is not that easy to accomplish. 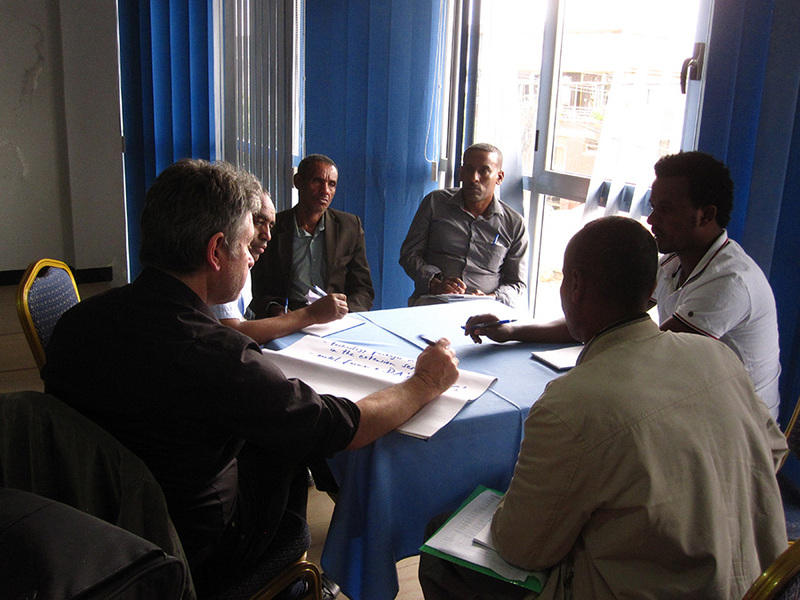 An amazingly successful approach to put theory into practice was taken by ZEF’s NutriHAF project, a German-Ethiopian participatory research and capacity building project. It is based at ZEF and funded by the German Ministry for Agriculture and Nutrition. Read more about their research and ways to convey its outcome to practice in this blog post. “The German-Ethiopian research and NutriHAF project team has been working for the past three years in biodiversity hotspot areas in Ethiopia and Madagascar”, tells project leader and ZEF senior researcher Dr. Jochen Dürr. “Our main goal was to contribute with our research to combating malnutrition and land scarcity. To achieve this we have, in close cooperation with our local partners, been introducing leafy vegetables into multi-storey cropping systems so as to increase the diversification of agriculture. Diversification is important to increase farmers’ resilience to for example weather shocks or failed harvest on the one hand and to combat malnutrition and unbalanced diets on the other”, Dürr explains. Discussion about how to best share project outcome. Photo by Tim Schneider. As the project progressed, the researchers were exploring ways as how to best collect and convey the knowledge gathered in the project. It was clear that publishing in scientific journals would not be enough to have a real impact on the ground. “We then came up with the idea of writing a manual with our knowledge bundled and “digestive” for the local stakeholders and end-users”, says Dürr in his office in Bonn. So at its final project workshop, which was held in Addis Ababa, Ethiopia’s capital, on March 22-23, 2018, NutriHAF’s research team presented launched a booklet titled “Vegetable species for multi-storey cropping systems and human nutrition”. The booklet transfers research findings as a manual for the cultivation of a number of leafy vegetables under shade, including cowpea, pumpkin, amaranth and jute mallow. The manual also contains important information about the nutritional advantages of these vegetables. It is not only available in English but also in the project region’s local language Oromifa. The booklet was therefore highly appreciated by the Ethiopian farmers participating in the workshop. The project also conducted training sessions on how to prepare food for farmers and consumers (see photos). More than 30 participants, including farmers from the project area, representatives from development agencies, academics from Addis Ababa University and the World Vegetable Center in Arusha, Ethiopian officials and the complete NutriHAF team (five German and seven Ethiopian colleagues) took part in the workshop in Addis Ababa. In the morning of the first workshop day research findings were presented, while in the afternoon working groups discussed the presented outcomes and proposed recommendations considering future plans, especially with regard to the sustainability of the project’s achievements. The highlight of the day was the release of the above mentioned booklet. One of the main successes is that acceptance among the farmers of the vegetables introduced by the NutriHAF project is high. Farmers like the taste of the recipes developed by the project, and would continue to cultivate vegetables, as long as seeds are available. The effect of integrating the vegetable leaves introduced by NutriHAF into the daily diet is described best with the words of Hussein, a farmer from Yayu, stating: “Since I have been cultivating these crops and my family and I have been eating them, we are healthy and have no more illnesses”. The main challenge of the project is to make its achievements sustainable or, to put it differently, “how the project can leave a footprint?” Strategies for scaling-up such as strong farmer-to-farmer networks and a well-functioning extension system, distribution of high quality seeds and training of cultivation practices are necessary. It is also essential that officials at regional and national level will be convinced of the importance of vegetable production. Only then it is assured that the extension workers at local level will receive sufficient support which is needed to promote vegetables in multi-storey cropping systems along the whole value chain until it reaches the food plate of all household members. These are the points the project is going to focus on during the remaining few months. 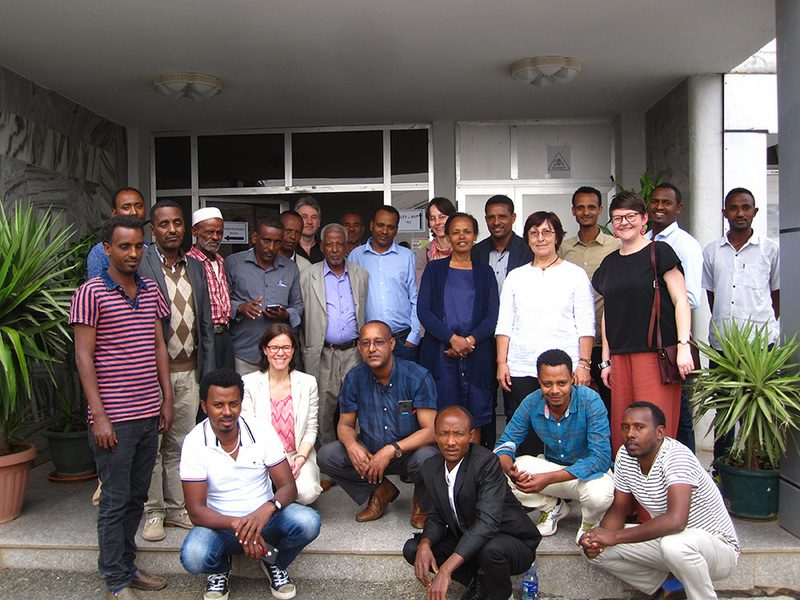 Group photo of final Ethiopian-German project workshop in Addis Ababa, March 2018. Photo by Tim Schneider.